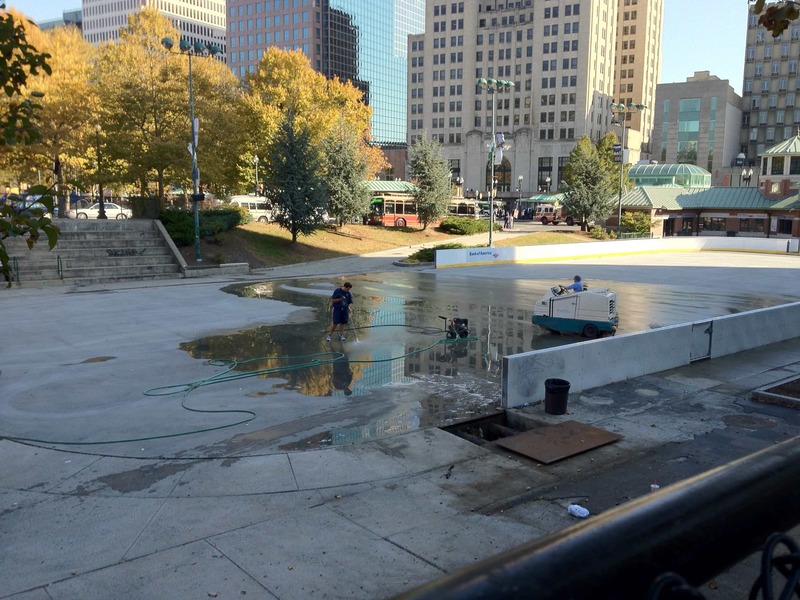 On a wonderfully warm November day, workers are preparing the surface of the Kennedy Plaza rink. This entry was posted in Uncategorized and tagged iphone picture by Ted. Bookmark the permalink.